Editor’s Note: This is an updated review. Our original review was conducted with product samples that had, unbeknownst to us at the time of our original review, become compromised in transit. 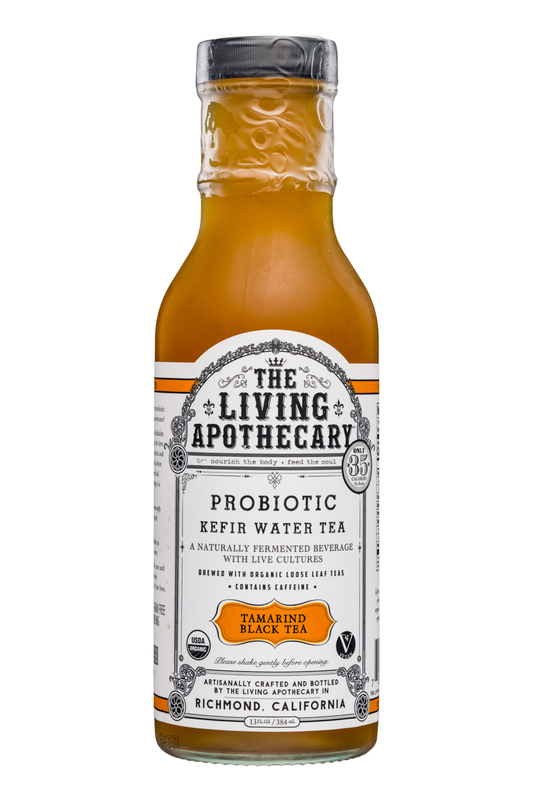 The Living Apothecary is a line of probiotic water kefir beverages that aim to bring this concept into a new category: tea. 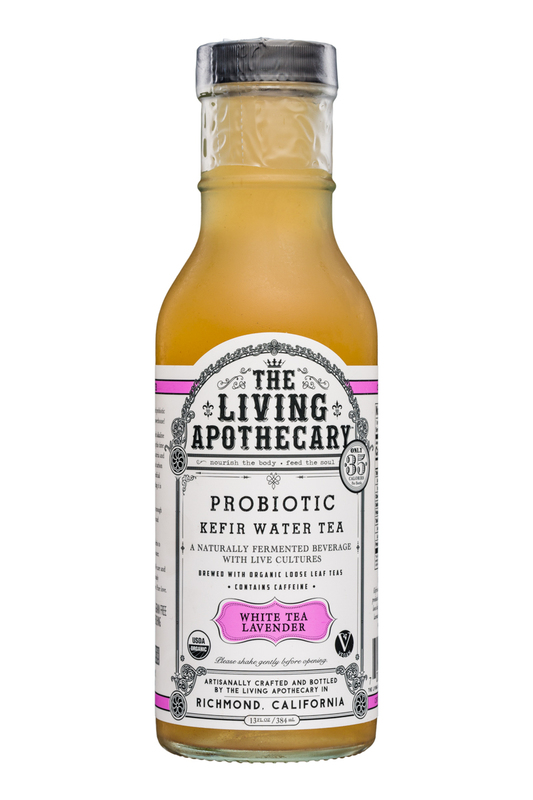 The USDA Organic certified product line includes eight formulations that include a host of familiar teas, including white tea, black tea, and herbal offerings. 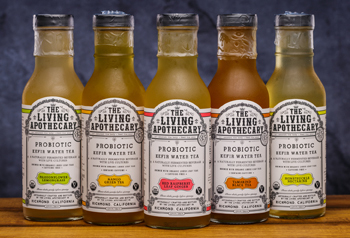 In all seven of the flavors you’ll find a flavor profile that’s very much tea-first, water-kefir second. 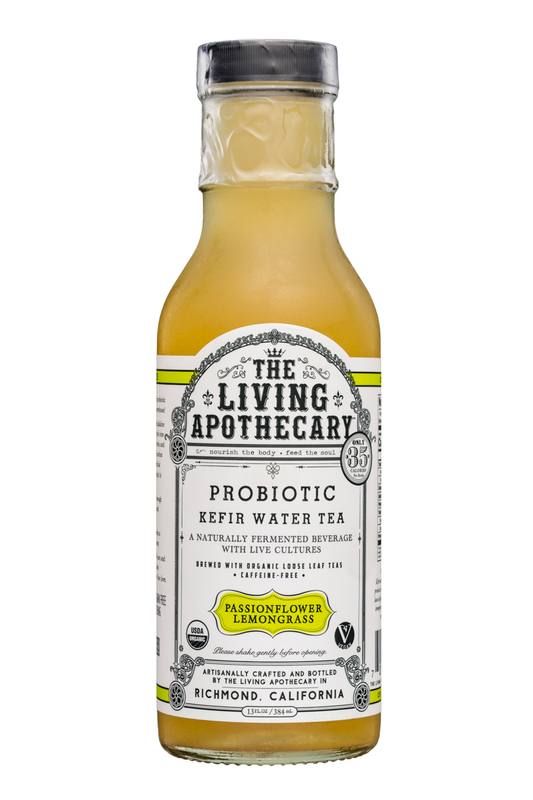 In addition, the products are light in body and minimally sweetened, resulting in only 35 calories per bottle. Speaking purely from a taste perspective, there’s a lot of good stuff going on inside the bottle. The standouts of the line are some of the more traditional tea flavors, which include Peach Black Tea, Mango Green Tea, Tamarind Black Tea, and White Tea Lavender. 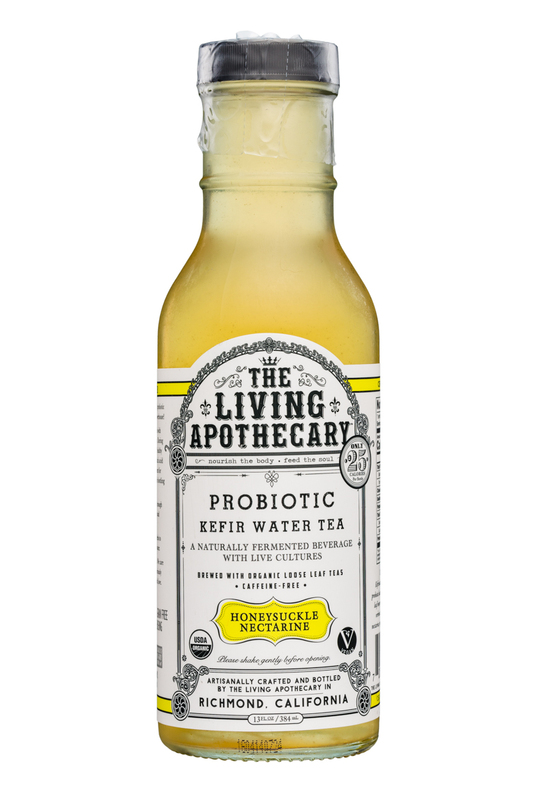 What you’ll find is something that starts out tasting like a tea, but has more depth thanks to the water kefir at the product’s base. But it’s the finish, which, unlike a traditional acidified tea, is super smooth and lacking a final note of acid, that really makes these products addictive. 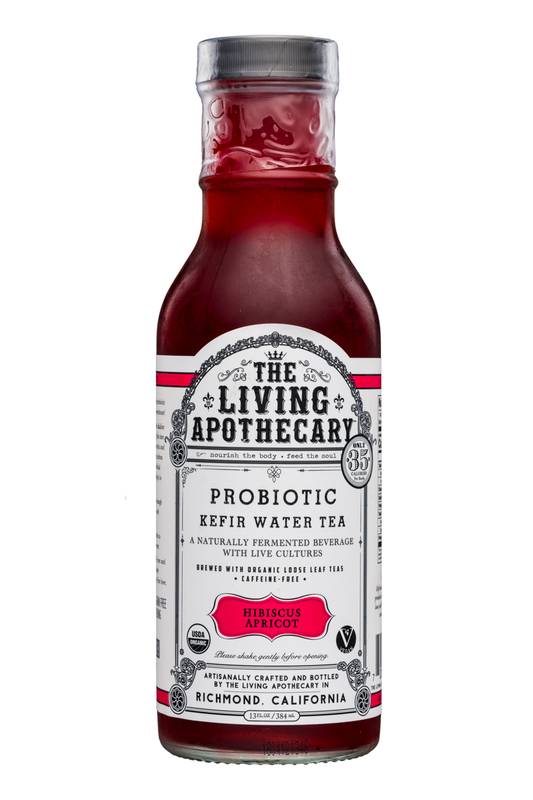 We’d largely say the same for the four herbal tea varieties, which include Honeysuckle Nectar, Passionflower Lemongrass, Hibiscus Apricot, and Red Raspberry Leaf Ginger. Since these are herbal teas, the flavors are generally much lighter than the tea-based offerings. For our palates, some are more successful and memorable than others. We’re definitely fans of the Honeysuckle Nectarine and the Passionflower Lemongrass, but the other two are ones that we might cut. This might help the line be a bit more streamlined anyway. On the packaging front, the product, which comes in a 13 oz. glass bottle that’s more commonly used for condiments, has an eye-catching appearance from afar. This is due to their vintage illustrated design, which is black and white aside from the accent color used to denote the flavor. However, upon closer examination it’s pretty busy, and too complex in its messaging. There’s a lot of text vying for your attention, which ultimately means that the consumer has to spend a lot of time trying to figure out what it is. Cleaning this up and moving some of the less important copy to the back (where it’s made and the loose functional claims come to mind) would allow the more important elements to stand out more. And last, but not least, we wish there were a bit more variation between the flavors. 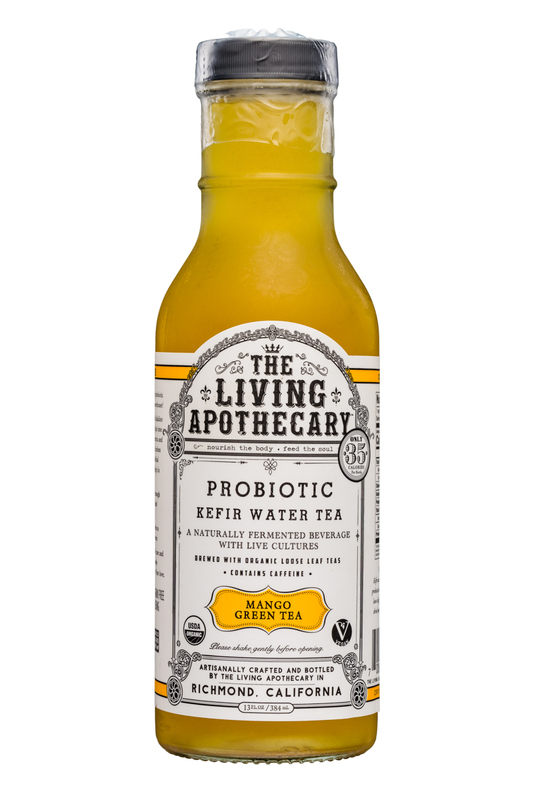 In the end, we’re quite pleased with what The Living Apothecary has created. 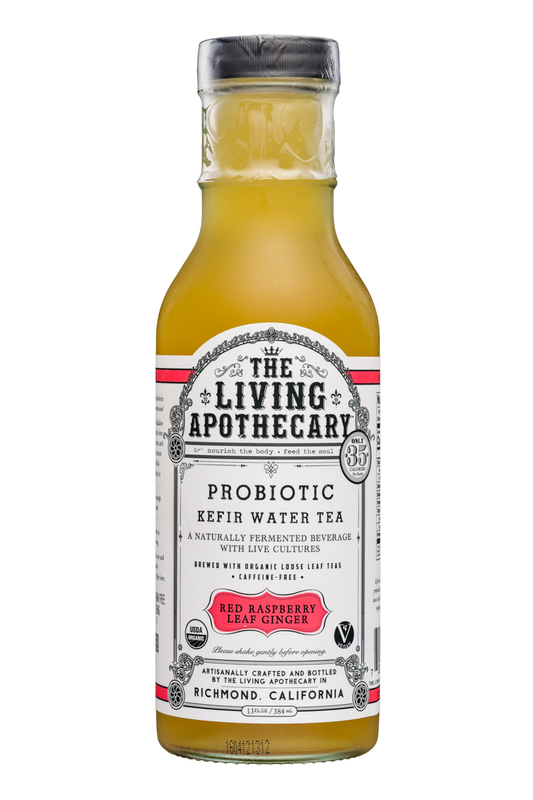 While there’s room to refine the lineup in both its number of SKUs and packaging, we think they’ve successfully come up with a nice way to extend still tea into the water kefir category.